After an amazing day in the forest with a small group of students we had to show the rest of the school. We decided to make wall size posters and then describe them to the rest of the school. This went really well and they all love it. 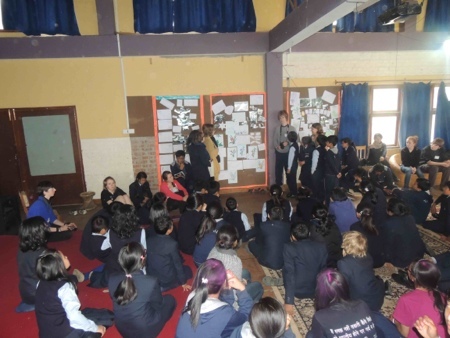 We are having an amazing day at Taktse School. 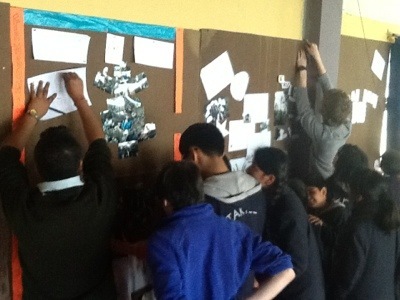 Writhlington and Taktse students are putting the finishing touches to their mash-up walls about the wonderful experiences of the past two days. Keep watching for the final results. This is an apology to all mothers and there washing machines. 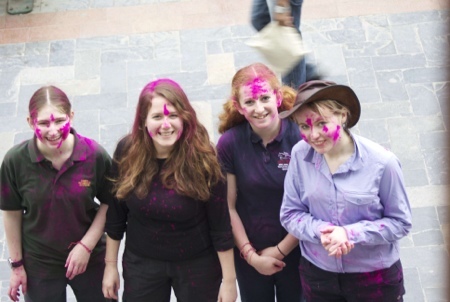 The festival of colours kicked of off in Gangtok today and we were in the middle of it. However fun was had by all. Zoe P wanted to apologise to here dad about the new colour of his camera. 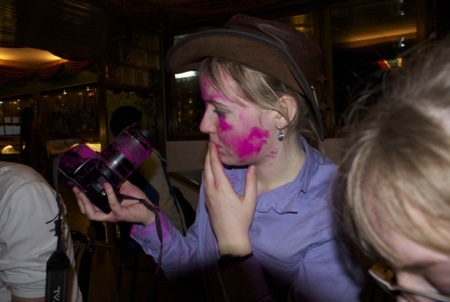 The festival of colours was being celebrated today and her camera got a bit caught up in it. Today we spent some time with school students in the forest. 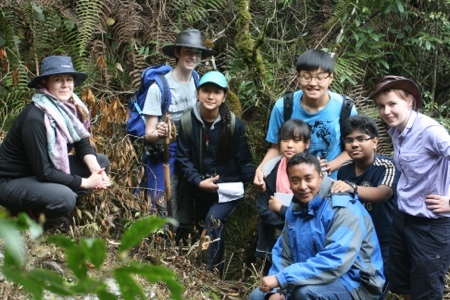 We taught them how to recognise and identify 7 different types of orchid. They were really enthusiastic and are looking forward to tomorrow when we will be spending more time with them back at their school.